Valvert is a crowd-pleaser both in the barn and in the ring. He is incredibly loving and remarkably professional under saddle. He really is the complete package, bringing out the best in his rider. 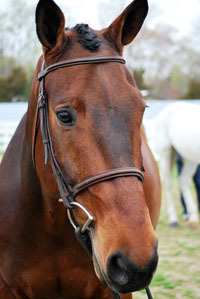 A great equitation and hunter competitor, Valvert also competes successfully with Gleneayre riders in low-level dressage. His favorite activity, though, is snuggling with his human friends, who care for him every day.